My neighbor Steve and I went out for an evening of crappie fishing. 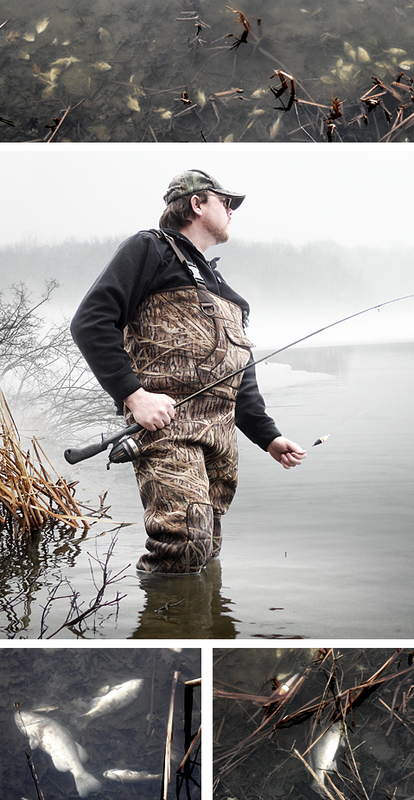 He really enjoyed fishing in waders. Another one hooked!